Emily Dickinson did not number her poems. She didn’t give them titles. My college anthology of American literature (1978) presented her work using Thomas H. Johnson’s numbering notations in his 1955 edition, The Poems of Emily Dickinson. He used a J. plus a number. The Academy of American Poets uses the first line and a number for the Dickinson poem mentioned in Somewhere Among; “There is a certain slant of light” # 258. The Poetry Foundation uses the first line as a title and (320). Other anthologies use combinations or variations of the title, number and J. There are many wonderful poems included here. “The Happy Thought” is among them. Like many things written for children at its time (1885) there are thoughts that are not happy at all. I am thinking of the poem lamenting that foreign children including Japanese children were not born in England. I bought this little 1934 edition (with the 1919 illustrations) here in Tokyo while I was writing Somewhere Among. I wonder what the previous owner thought of “Foreign Children.” My children’s introduction to Robert Louis Stevenson was “The Happy Thought” in a friend’s gift of Disney’s Somebody Loves You. Stevenson’s poems are widely anthologized for children. Six of them appear in one of our favorite anthologies, Talking Like the Rain selected by X.J Kennedy and Dorothy M. Kennedy and illustrated by Jane Dyer. Across the world, days, weeks and months have been set aside to spotlight bullying. Here is what a few countries are doing. Let’s add to the list. The Center of Negotiation and Conflict Resolution at Rutgers University has an extensive list of links to materials for teaching and guiding students in conflict resolution skills. Click here. International Day of Peace is on September 21. The 2017 theme is Together for Peace, Safety, Respect & Dignity For All. For information about 2017 events, check here and the UN Peace Day Facebook page. For more information check the Facebook page for Peace One Day as well as their websites and the other links below. On September 7, 2001, the United Nations unanimously adopted a fixed date, September 21, for International Day of Peace (originally sponsored by the United Kingdom and Costa Rica for the third Tuesday of the month of September.) The U.N. also defined International Day of Peace as a day of ceasefire and non-violence. These proposals were introduced by U.N. members from Costa Rica and the United Kingdom after two years of international lobbying by Jeremy Gilley, the founder of Peace One Day, and his team. 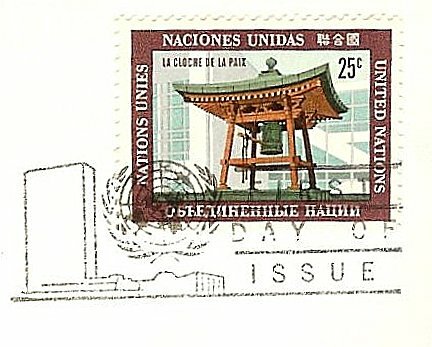 This stamp of the Japanese Peace Bell, designed by Ole Hamann of Denmark, was issued in 1970 as part of the United Nations Postal Service’s Art at the United Nations series. The stamps were printed by the Government Printing Bureau of Tokyo. As the gathering waited for the Secretary-General to arrive, the nearby World Trade Towers were attacked. The bell was not rung that day and the press conference and the announcement of an annual day of international ceasefire did not happen, but International Day of Peace and the mission for Gilley’s Peace One Day has continued, growing year by year. What can one day of peace do? A ceasefire allows organizations to move supplies and to give vaccines to people in conflict areas. 1.6 million children in Afghanistan were vaccinated against polio after the Taliban and the government agreed to a ceasefire on September 21, 2007. The goal of Peace One Day now is to make 3 billion people aware of the International Day of Peace by 2016. You may know the long and interesting history of Japan’s 1912 gift of the Washington, D. C. cherry trees. But did you know that in 1915, three years after the gift of cherry trees, the United States government sent seeds and saplings of dogwood to Japan? 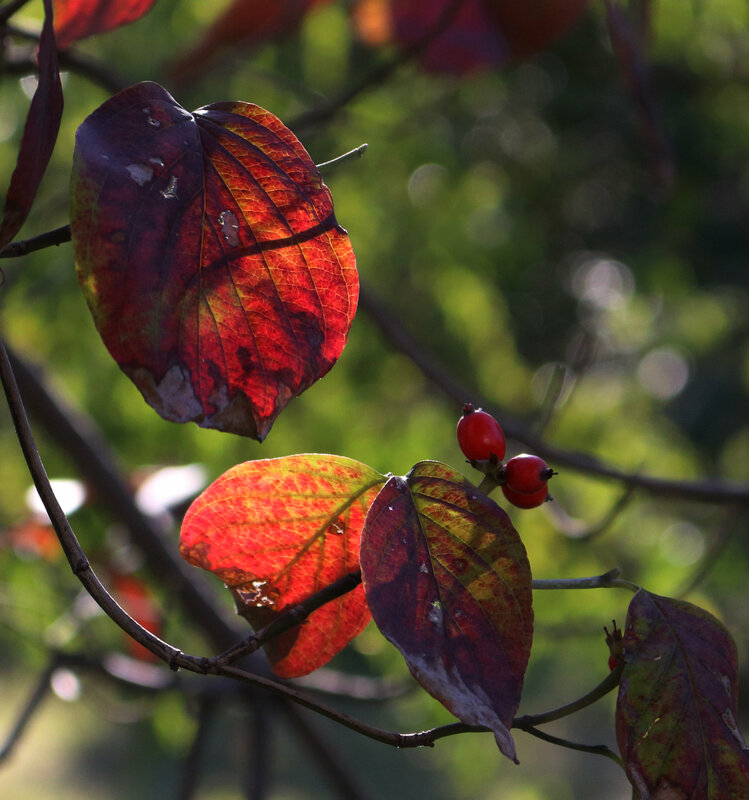 They were the first dogwood trees in Japan. Gifts of Friendship (Japan Joint Issue) stamps were issued on April 10, 2015 to commemorate the 1915 gift of dogwoods. After World War II ended in 1945, cuttings from the cherry trees in Washington, D.C. were sent to Japan to restore the Tokyo collection that had perished during the American bombing attacks during the war. The two countries’ tree giving continues through the United States-Japan Bridging Foundation Friendship Blossoms Initiative. To read about the history of the National Cherry Blossom Festival check here at National Geographic’s press room. Eiichi Shibusawa, a leading Japanese businessman, led the collection effort in Japan to commission the best doll makers in Japan to produce 58 dolls as gifts to the United States. These “Doll Messengers of Friendship” were sent to museums and libraries in 1928. 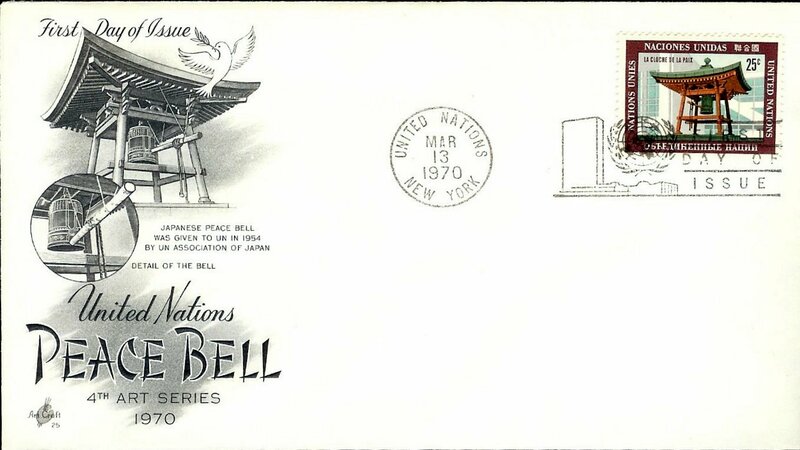 The Peace Bell was donated to the United Nations in 1954 by the United Nations Association of Japan. See the links below and the post International Day of Peace for Peace One Day. President John F. Kennedy sent a surplus bell to the Japan Evangelical Lutheran Saijo church in Hiroshima. Read about Ambassador Caroline Kennedy’s 2015 visit here. On February 9, 2001, The Ehime Maru, a Japanese high school fishery training boat, sank 9 miles off Diamond Head after the submarine USS Greeneville surfaced beneath it. Nine people on The Ehime Maru perished. In January 2002, a memorial was built at Kaka’ako Waterfront Park in Honolulu and was unveiled in February 2002. The memorial stands on a hill overlooking the ocean. It is made of nine granite blocks. Engravings include an outline of ship and a map of the accident site. One of the ship’s two anchors lay next to nine links from the anchor chain to signify the nine lost lives. The names of those who perished are engraved on the stone. The Japan-America Society of Hawai’i maintain the memorial with the help of volunteers from the community. This photo was taken in 2015. On August 2, 2001, the 5th World Conference of Mayors for Peace opened first in Hiroshima. Events were also held in Nagasaki. Approximately 220 people participated from 63 cities and two non-governmental organizations (NGOs) from 28 foreign countries and from 44 municipalities in Japan. Nine countries participated for the first time, including Pakistan, which conducted a nuclear testing in 1998.